Several years ago, Sara Lee International decided to implement Lean manufacturing, company-wide. 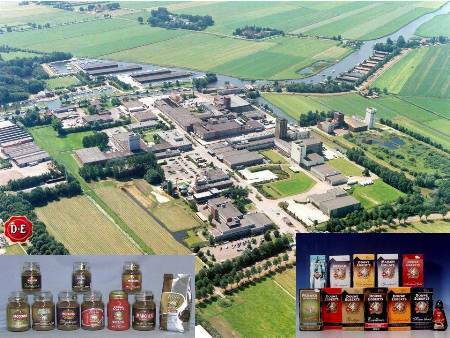 To see the results, we visited Douwe Egberts Coffee Treatment & Supply in Joure, in the north of the Netherlands. Products nowadays literally flow through this factory, since stagnation would mean loss. During their journey, maximum value is added to the products. To achieve this, Douwe Egberts started to map the current value stream. After that, there was room to daydream about an ideal new factory, with waste of time nor materials. Finally, starting from the current situation and taking into account existing boundaries, a maximum attainable value stream was defined. Since then, everybody, everyday strives to realize that situation. This means that also waste of talent came to an end! This network of change agents is relatively new. Three years ago Van Heuvel still was manager engineering, and Van der Vaart was not working within Sara Lee at that time. Use value stream mapping (VSM) to indicate which processes add value and which don’t. Eliminate eight types of loss: overproduction, inventory, manufacturing faults, manufacturing disruptions, waiting times, transport, unnecessary movement, which includes searching for things in the workplace, and last but not least: unexploited talent. Ensure that products and materials start to flow smoothly through the company. Stoppages lead to stockpiling and thus to waste. Make the production demand-driven. Producing an item that no one has ordered is also a form of waste. Constantly strive for perfection, always return to step 1! 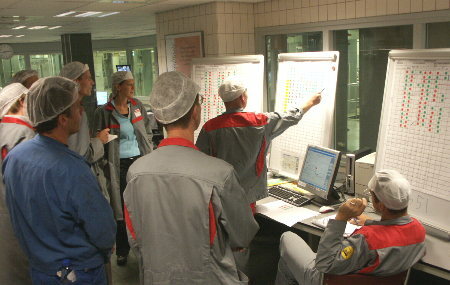 The application of Lean techniques within Sara Lee started in 2001, in the meat factories in the US. In 2004, Brenda C. Barnes became Chief Operations Officer and later CEO. 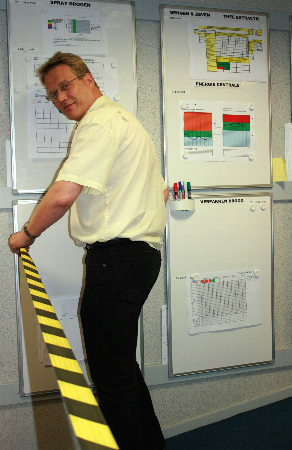 At that moment, lean and continuous improvement were added as a leading element to the mission of the company. In addition, a company-wide rollout was planned. There was a desire to develop one common lean-language, and Sara Lee had already good experiences with McKinsey in the US. Therefore, it was decided to involve this consultancy firm worldwide. ‘Three years ago, the lean roll-out wave reached Joure’, says Van Heuvel. Lean Thinking is certainly not the only instrument for improvement, but Lean is used by Sara Lee as leading method and umbrella, see also the box lean cycle in five steps. Value Stream Mapping (VSM) is applied to identify which steps on the route from raw materials to end products add value, and which don’t. It seems logical that the next step would be thinking up an improved value stream. However, it is better to wait with that, stresses Van Heuvel: ‘When you define your improvement goals immediately, there is a risk that you will optimize clumsy processes. Remember that the people in your multidisciplinary team are also responsible in part for the indentified sources of waste. Therefore, they will be inclined to explain why there is no other way to do those things, saying things like “we have to go back and forth with that fork-lift truck”. The advantage of this approach is that assumptions in the past, that lead to the current working methods, are no longer taken for granted. 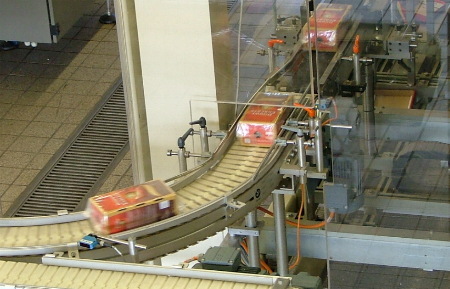 Packaging line. Too much variation and disturbances during production resulted in much more stock of end products then necessary. The final result is a future VSM, which delivers a maximum value stream, taking into account the existing (financial) barriers. This final picture then becomes the guideline for the improvement program. An improvement program was started, to make the production more reliable within 1 to 1,5 years. The primary aim: A continuous stream of coffee-extracts leaving the factory, well attuned to customer demand, and with as few stock as possible. 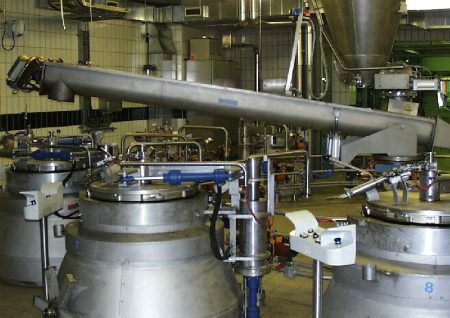 The ‘cylinders’ which are used to produce coffee extracts. The extraction process is carried out in pressurized supersized coffeemakers, which are called cylinders. There is a whole battery of those, so that the extraction process can go on more or less continuously. Coffee is supplied from above, via a silo. Three changes were made. First, it was decided to optimize the extraction process not only on capacity, but also on yield. ‘Now, an operator fills a cylinder with a fixed amount of dry material. This is a varying amount of coffee, since it is a natural product’, explains Van Heuvel. Operators indicate with green and red stickers, which things went well or not during their shift. To make the production demand driven, peaks and troughs in the demand should be flattened, to prevent unnecessary disruption of the production process. Within Toyota, this principle is called leveling. Thanks to the more or less constant flow, the factory now is much quieter then before, when the production had to be adjusted all the time to prevent shortages. ‘Nevertheless we are now more demand driven, since our throughput time is reduced’, concludes Van Heuvel. 1) Today, Rienk van der Vaart works at energy company RWE.